Learn more about the value and impact of a liberal arts education, and the unique environment within the College. Included: Interviews with notable alumni such as E. O. Wilson and Gay Talese.  Find out what it means to be part of The University of Alabama’s College of Arts and Sciences. What does it mean to study English, or biology, or psychology at The University of Alabama? Or to be part of the Blount Scholars Program? Find out from our students and faculty what makes each program special. Experience some of what goes on in the College’s classrooms, labs, galleries, and rehearsal spaces through this collection of news videos.